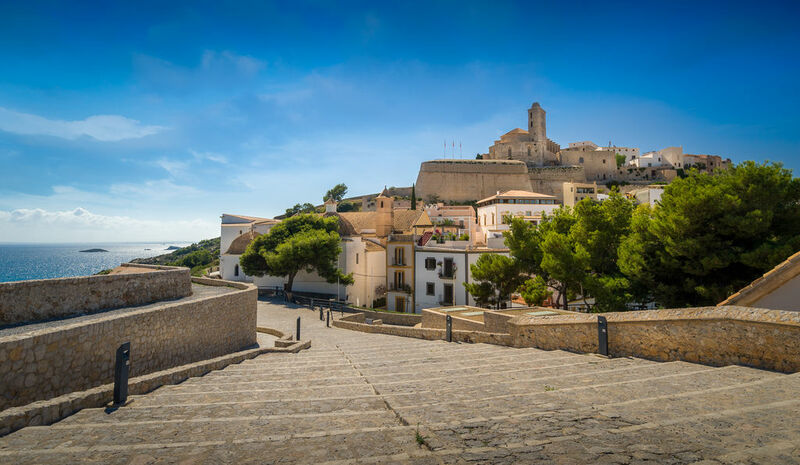 The pleasant rampart walk slopes gently down to the Plaça de Vila. It is dotted with reminders of the titanic work undertaken in the 16C to adapt the structure to new battle techniques, in particular the use of artillery: sufficient width and bastions offering shooting positions facing the sea. Today its military vocation is a distant memory and the walk now commands superb views over the sea, from Sant Bernart Bastion.